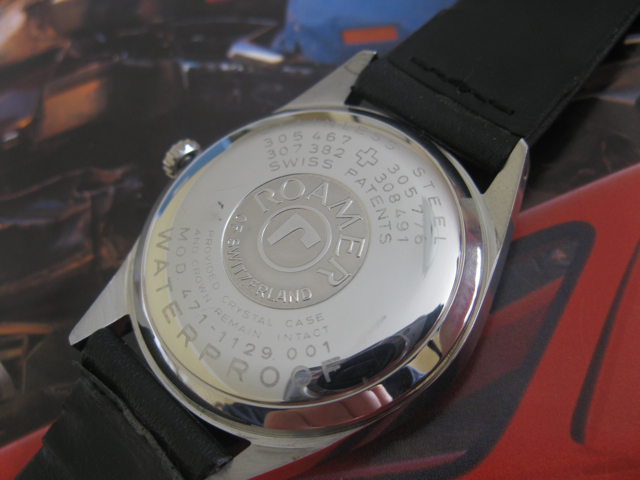 Roamer made the majority of their own cases entirely in house from 1923 to about 1973. Due to this, they didn't bother marking their own cases specifically as to manufacture. Before 1930 ish various other cases were used, particularly in the USA, I guess they were cased there. Some early waterproof cases by Taubert and Fils (Borgel) were used in the 1930s. After 1973 they used some supercompressor cases by Piquerez, and in about 1975 attempted to have some cases made in Hong Kong (which largely failed due to the manufacturers inability to reliably meet the machining precision required for the patent cases). The original company went out of business in 1976 so there are very few of these later examples around. Some early roamer cases were marked LTG, which was one of their brands. 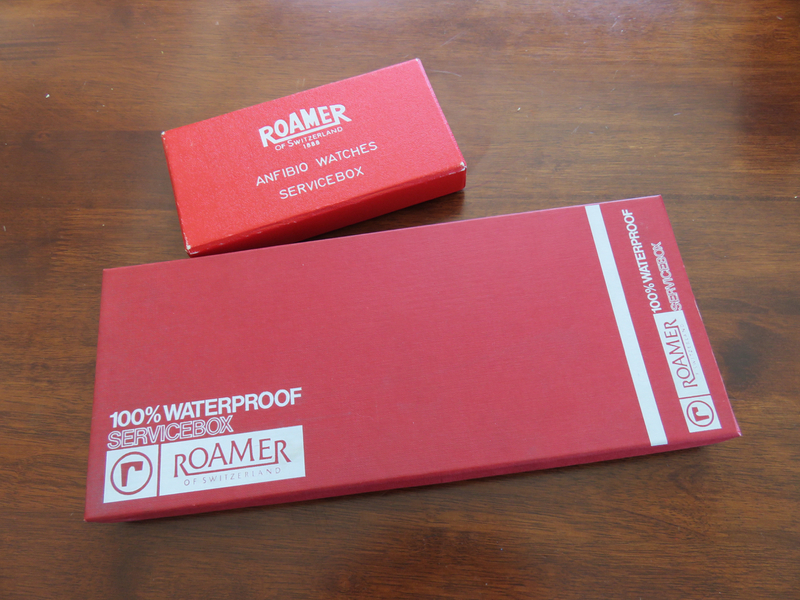 Other brands made by Roamer (MST), such as vidar, had generic cases. I should probably mention solid gold cases, but the truth is there is little information. Gold cases were made by a number of external case makers, of which I have seen (amongst others) Dennison, Handly and D Shackman and Sons (made cases for Rolex etc.). Some 1940s/1950s cases are marked Roamer, and some late 1960s Stingrays had solid gold cases and were 100% made by Roamer in house. In general, Roamer preferred to leave manufacturing of gold cases to external makers as fluctuation in gold prices made it difficult to manage - indeed I was told by the former owner that Roamer essentially lost money on every gold case they made. 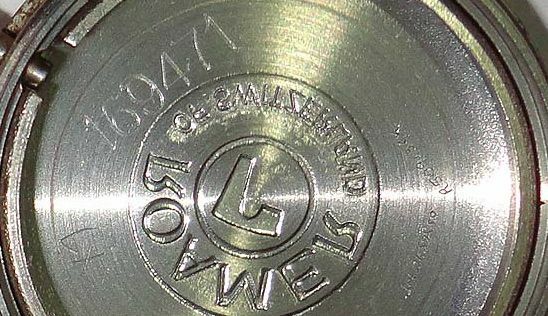 So if it is between 23 and 73 you can be fairly certain it is a case made by Roamer, unless it is, gold, a recased movement or pre 1930s USA model. 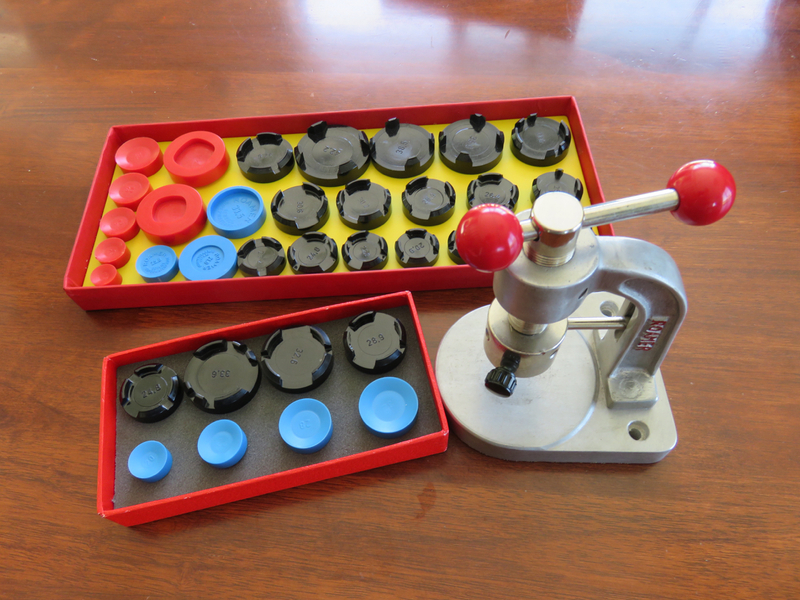 Roamer was very proud of making every screw, dial, case, plexi, hand, movement etc. in house. This only started to fade after the family stopped running the company in 1968. Case and model numbers can be a source of confusion, and then you throw into the mix the type I and type II cases. Hopefully the following will make it all clear, as we are actually talking about 3 different things. The case type is actually very simple. Type I This is the first type of case, as originally patented by E.Morf in 1941. This case was used until 1955 when the patent expired. Type IIa Roamer never had a Type IIa case, but from the late 1950s the Type II cases had a case number stamped inside, and I will refer to these as Type IIa. Type IIb From 1966, all type II cases were marked with an external model number and the case number stamped inside. I will refer to these as Type IIb cases. The differences between the two case types are in both ease of manufacture and depth, with the Type II giving a much thinner possible profile than the bulky type I. Perhaps more importantly, many Type I cases have suffered substantial sweat corrosion around the bottom of the bezel - especially in humid climates. The Type II case extends the stainless steel back out under the bezel, protecting it from degrading in this way. A very successful change, as no Type II cases suffer from bezel corrosion observable on Type I cases. There are other differences, a Type I case uses a flat dial, a Type II case can use either a flat or curved dial, and the rehaut is much finer on the type 2 case. The following brochure (in German, but it should be clear enough) shows the differences between the Type I (old) and Type II cases (new). Also you can see the dial and rehaut differences highlighted and note that the instructions for dismantling are different, with the Type I pressing out with finger pressure, while Type II uses a case knife initially - open image in a new tab to see full size. 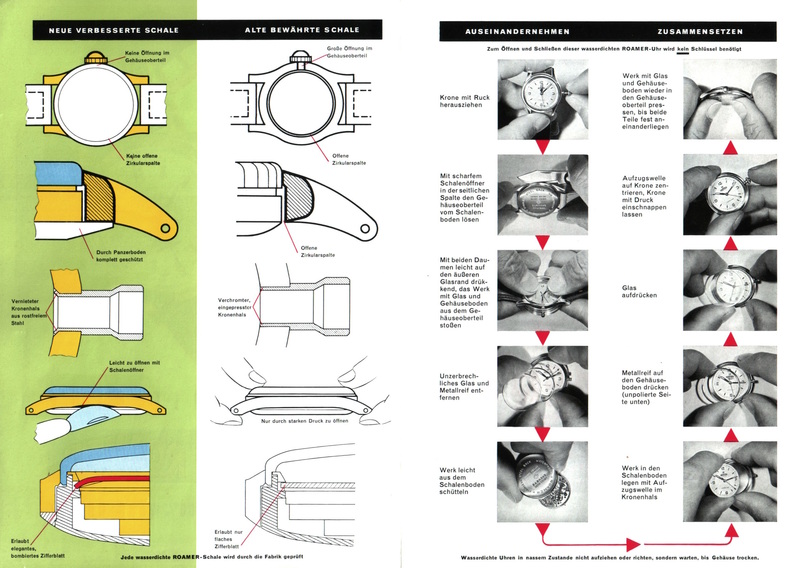 At the end of this page you can see the Roamer tool and dies for assembling and dismantling these watches. The original Type I and early Type II cases had no case numbers, but case numbers were retrospectively assigned and can be looked up in a table using the calibre number and case diameter. In Type IIa a case number was stamped inside the case - and in order to see it, the movement needed to be removed. This number refers to the inner case. This case number is all that is needed to determine the crystal, crown length, stem, rehaut etc. From 1966, a model number was introduced on the outside of the case back, on type IIb case, starting with MOD like this. 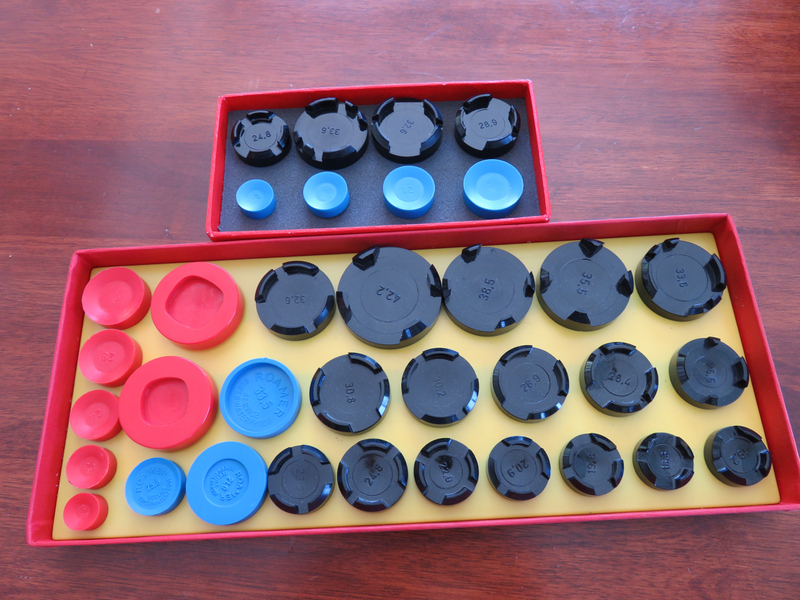 9 = Special casing system - one offs, e.g. Stingray S with additional rubber o-ring, Mustang 301 front loader etc. Hopefully this has gone some way to clearing up the mystery of Roamer case numbers. The following PDF scans are from the 1966 and 1973 Roamer Technical manuals. The 1966 scans include early Type I and Type II cases, and identify appropriate crowns, stems and crystals. The 1973 scans include the 1966 information plus the later Type IIa cases and special cases, such as the diver watches, the electronic cases, Red Sea and so on. There are two sets of dies that I have so far managed to find - the first smaller set is just for the Anfibio range, the larger set covers a much larger range including the divers, chronographs and some of the other special cases. 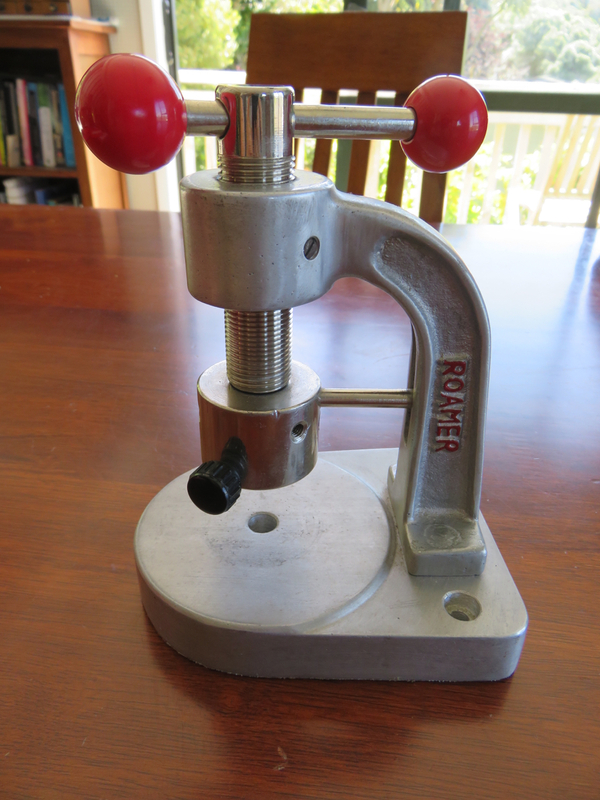 Of course we can't forget the press tool itself - I've only ever seen one for sale, and I bought it.